air joe is proud to serve the Countryside community! We are proud to be a part of this community, serving your heating and air conditioning needs: air joe is listed in many directories under titles such as : Countryside Heating Contractors, Countryside Heating, Countryside Air Conditioning, Heating Repair, Air Conditioning Repair, Countryside Heating and Cooling Contractors, Rooftop HVAC Repair, Ductless AC Systems, Boiler Repair and Countryside Heating and Air Conditioning Contractors. We are here for you whether you need furnace or air conditioner repairs, heating and cooling estimates, equipment replacement or new installation of a furnace, air conditioner, heat pump, rooftop heating and cooling or comfort products to improve the air filtration for your home or business. About Countryside, IL - Happy to be your hometown Heating & Air Conditioning Contractor! 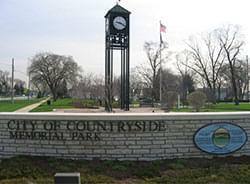 Countryside is an Illinois city located in Cook County, and as of 2010, its population was approaching 5,900. It was officially incorporated back in 1960, but its history dates back to the presence of the Potawatomi Indians, who were the area’s original inhabitants. This community is served by the La Grange School District, and while elementary students attend classes in the city, middle and high school students move on to schools in La Grange and Western Springs. Countryside is found within a humid continental climate zone, and while winters are snowy and cold, summers are humid and quite hot. Countryside is home to a variety of attractions that might appeal to residents and visitors. This community is home to the Double J Riding Club, which offers horseback riding lessons. The Countryside Shopping Center is a popular location for visitors or residents who are looking to do some bargain hunting, and Park Place of Countryside is a popular location for weddings, special events, and other venues.